DA demands action against those implicated in Bosasa scandal - SABC News - Breaking news, special reports, world, business, sport coverage of all South African current events. Africa's news leader. 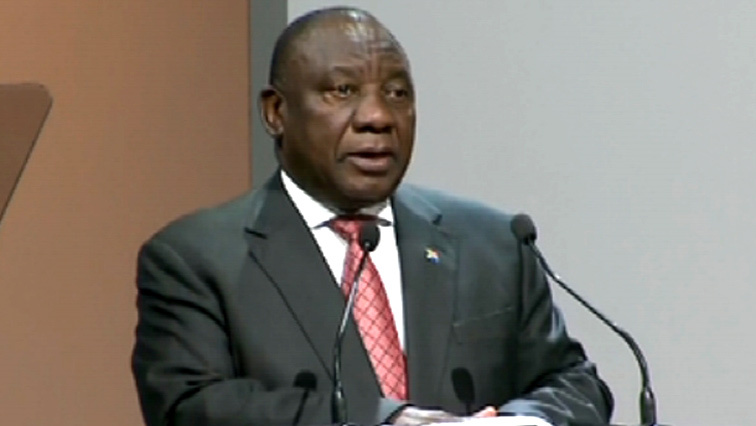 Ramaphosa President Cyril Ramaphosa has a deadline of January 29 to respond to the DA’s demands. The Democratic Alliance says it has written to President Cyril Ramaphosa demanding he take action against all political figures implicated in the Bosasa saga at the Commission of Inquiry into State Capture. The DA has called on Ramaphosa to immediately institute an independent audit into all contracts between BOSASA and government – as well as to instruct cabinet to audit individual departments. Former Bosasa COO, Angelo Agrizzi is expected to continue his testimony this week in Parktown. Sunday newspaper reports say he will implicate senior ANC members – including former President Jacob Zuma. The DA’s Graham Charters says Ramaphosa has a deadline of January 29 to respond to their demands. This entry was posted on 21 Jan 2019,05:48AM at 5:48 AM and is filed under Politics, Homepage Featured Story Slider. You can follow any responses to this entry through the RSS 2.0 feed. Both comments and pings are currently closed.